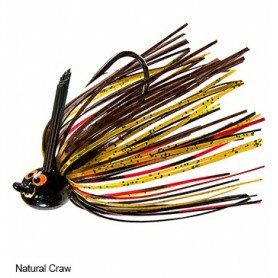 Jig Heads There are 53 products. A classic round loaded head that will take any lure type and can be fished with any style. Dense, stable and well balanced. Our round head gives off a strong eye signal to predators that focus attacks on the head itself guaranteeing cleaner hooking and less fish lost. 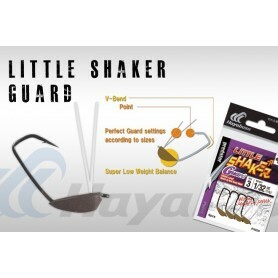 This compact head offers little water resistance and can be worked easily round snags. Designed to be paired with the Finesse TRD, Finesse ShadZ, or Hula StickZ to create the perfect Ned Rig, the Finesse ShroomZ jighead sport a custom wire keeper welded onto the hook shank that not only makes rigging a breeze, but holds ElaZtech baits securely without the need for gluing. 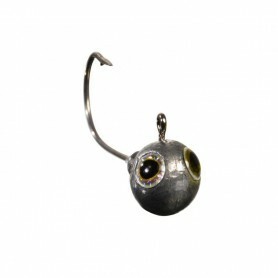 The Hayabusa Little Shaker Wacky Head features a unique head design and short shank V-Bend hook, which combine to create a killer fall and wider, shaking action. 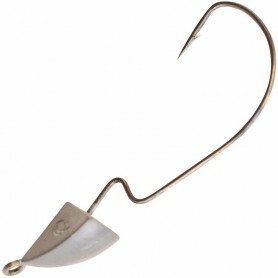 It also allows the rod action to reach the worm more directly, so you can better control the action of the bait. deal for use with Finesse WormZ™, FattyZ™, and CrawZ™, Shaky HeadZ’s Mustad® UltraPoint® flat-eye hook design and unique keeper system hold both traditional plastics and ElaZtech® baits securely on the hook shank. The Texas jig head gives you all the advantages of a Texas style rig on a jig head. The triangular shaped head gives you two key advantages: 1) Stability and excellent presentation of the bait on the bottom 2) It helps with a swimming jig sort of action on the retrieve. 3) It gives weedless presentation. 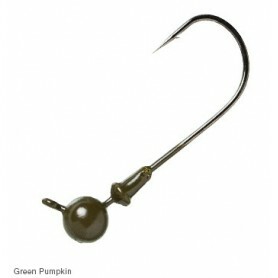 The Fiiish Black Minnow Shore Jig Head 3g is suitable for the Black Minnow 70. Deadly for any predatory game fishing. 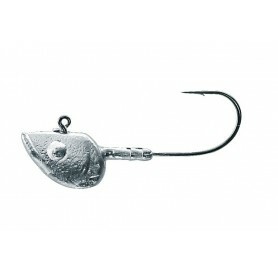 Use with Fiiish Bodies in 70 size and Fiiish Krog Hooks 70. 2 in a pack. The Fiiish Black Minnow Jig Head Shore 5g in Khaki is suitable for use with the incredibly effective Fiiish Black Minnow soft plastic Reches D lure bodies in the 90 size. 2 in a pack. 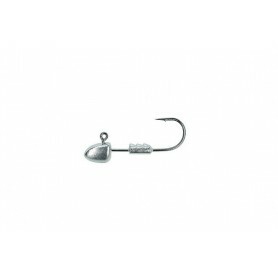 The Fiiish Black Minnow Jig Head Off Shore 10g in Khaki is suitable for use with the incredibly effective Fiiish Black Minnow soft plastic Reches De Corps lure bodies in the 90 size. 2 in a pack. A supreme design with perfect balance thanks to the hydrodynamic V shape head and centre weight. 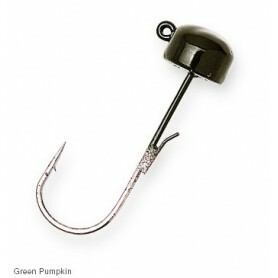 This produces an irresistible slide fall as your bait descends through the water column. 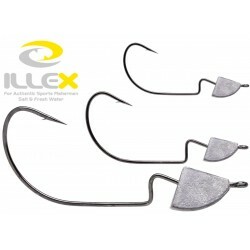 Designed for Salt Water use with super sharp and strong hooks to land you that trophy fish. 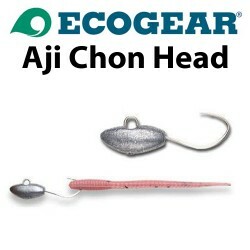 The Ecogear Aji Chon Jig Head is a revolutionary jig head as it has a flat hook shank which prevents the lure from twisting on the hook. 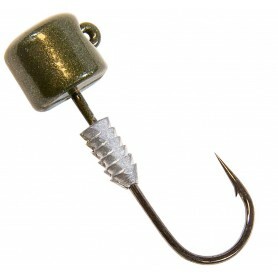 The Fiiish Black Minnow Jig Head Search 8g in Khaki is suitable for use with the incredibly effective Fiiish Black Minnow soft plastic Reches De Corps lure bodies in the 90 size. 2 in a pack. A more compact, streamlined offering designed in conjunction with B.A.S.S. Elite Series pro and noted jig-fishing specialist David Walker, CrossEyeZ Power Finesse Jigs are ideal for casting, pitching, skipping and swimming. 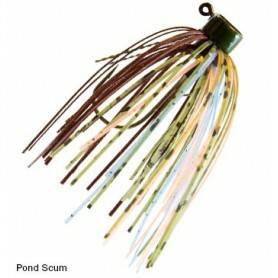 A skirted, Midwest finesse-style mushroom jighead that's known to entice strikes in tough conditions, the ShroomZ Micro Finesse Jig's 100% silicone skirts in custom-designed patterns provide a realistic appearance, lifelike action, and tantalizing slow fall rate that is simply deadly on finicky bass. 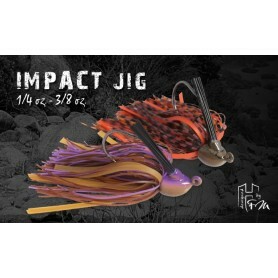 Designed specifically for Midwest finesse Ned Rig applications around heavy cover or high current areas that call for stouter tackle, TT Lures NedlockZ HD Jigheads are equipped with extra-heavy duty Mustad® UltraPoint® hooks that allow for heavier tackle and drag settings than standard Finesse ShroomZ jigheads. 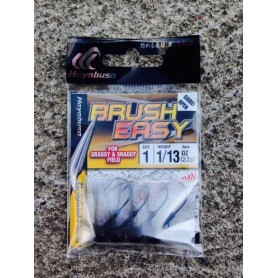 The Hayabusa Brush Easy Head is an outstanding performer around grass and other vegetation. It features a Twin Double Brush Guard made from heavy test mono that is perfect for deflecting snags, while not inhibiting hooksets. The mud black head also gives it a natural appearance in the water.